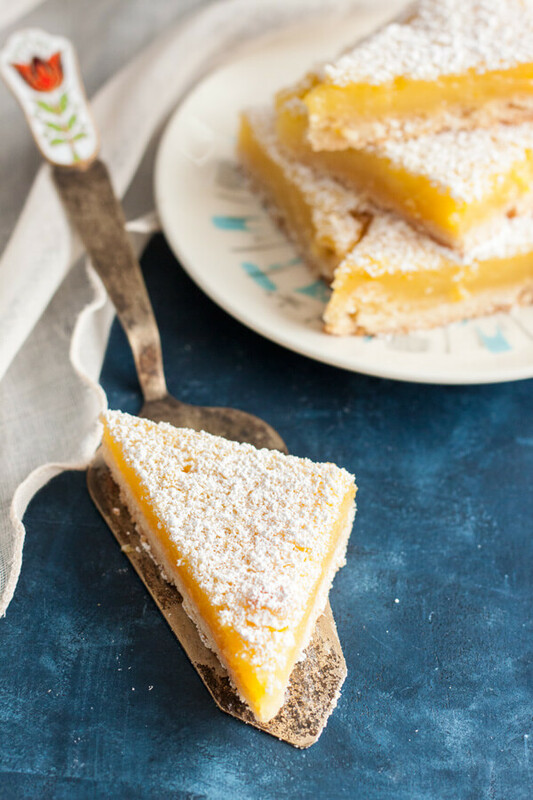 These Lemon Bars with Shortbread Crust are made with a creamy lemon custard filling baked on top of a buttery shortbread crust. They are refreshing, tangy and just sweet enough to enjoy all year long. Lemon is one of those fruits that’s readily associated with refreshing drinks and desserts during hot summer, while available and ready to be made into something delicious all year long. 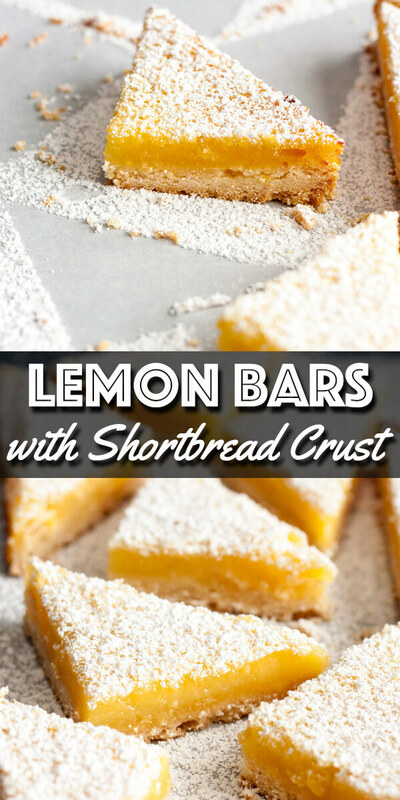 These Lemon Bars with Shortbread Crust are creamy, buttery, tangy and refreshing. They are the perfect summer desserts that can also brighten up a gloomy winter day. 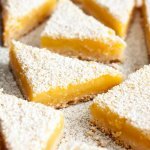 The shortbread crust in these Lemon Bars with Shortbread Crust is almost exactly the same as these Classic Shortbread Cookies, just slightly less sweet to balance out the sweet lemon custard on top. And the great bonus is that it is perfectly buttery. 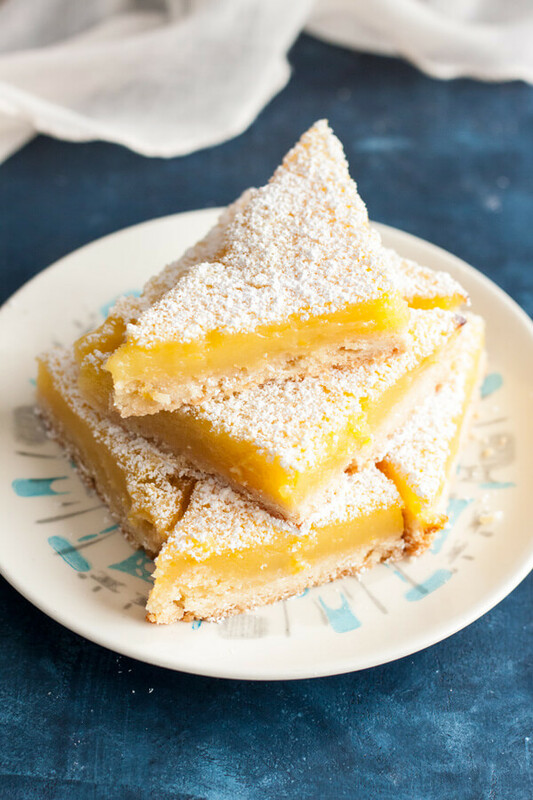 The lemon custard on top is creamy and tangy just like this Lemon Curd, but baked into a bar with just the right amount of sweetness without taking away from the tanginess of the lemon. I can assure you that you won’t go wrong with a lemon dessert anytime of the year. 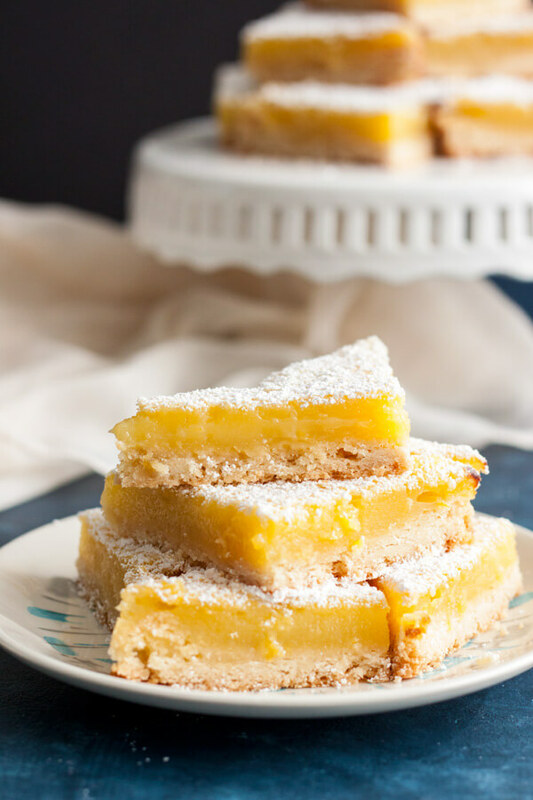 But these Lemon Bars with Shortbread Crust in particular will be the perfect addition to your dessert menu all summer long (and all year long). 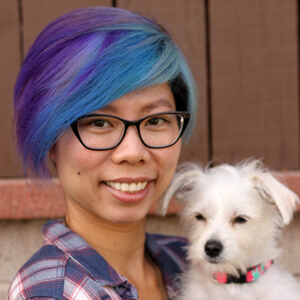 I hope you will enjoy this recipe as much as we did over here. Preheat oven to 350°F and butter (or spray with cooking oil) an 8”x8” square baking pan, line the pan with a long strip of parchment paper and let the excess hang over the side. In a small bowl, add flour and salt, and thoroughly combine with a whisk. In the stand mixer bowl, cream butter, sugar and vanilla extract with a paddle attachment until light in color. Add the flour mixture and mix on low until a dough ball forms. Dump the dough into the previously prepared baking pan and press it into an even layer. Bake the crust for 20 minutes until lightly brown. 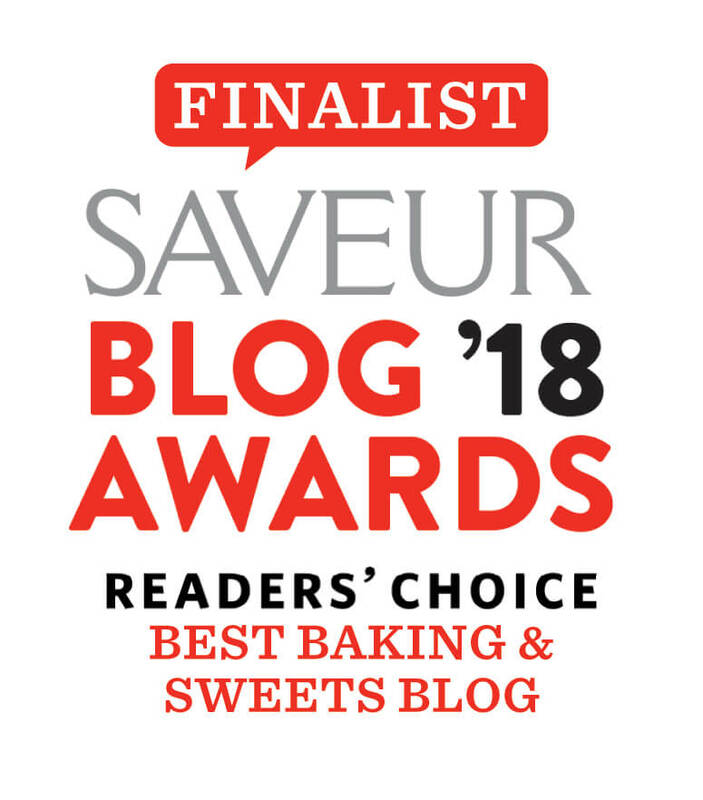 Let cool on a wire rack while you prepare the lemon filling. Leave the oven on. In a medium mixing bowl with a spout (or a large measuring cup), add lemon zest and sugar and mix with a whisk to release lemon oil. The sugar will turn light yellow. Add eggs, lemon juice, salt and flour and mix until thoroughly combined. Pour the mixture over the crust and bake for 25 - 30 minutes until the filling is set. 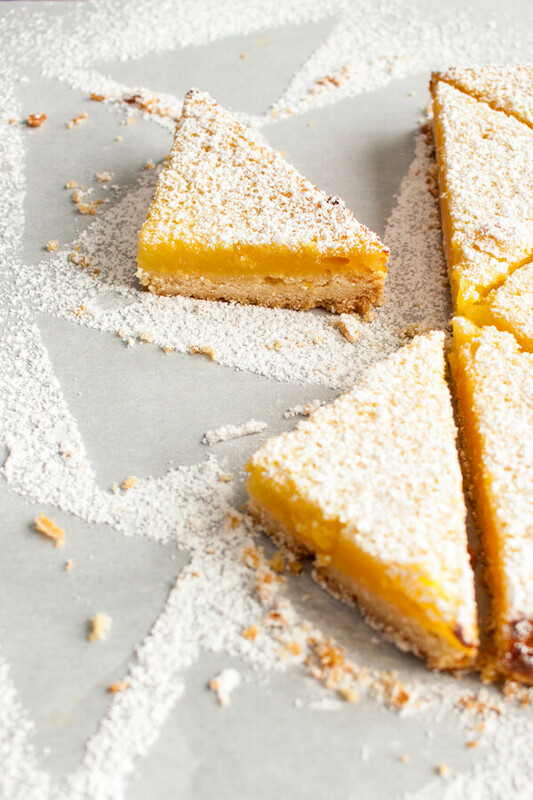 Lift the lemon bar out of the baking pan using the parchment paper excess. Cut into 4 squares, then cut each square into 4 triangles. Dust with powder sugar. 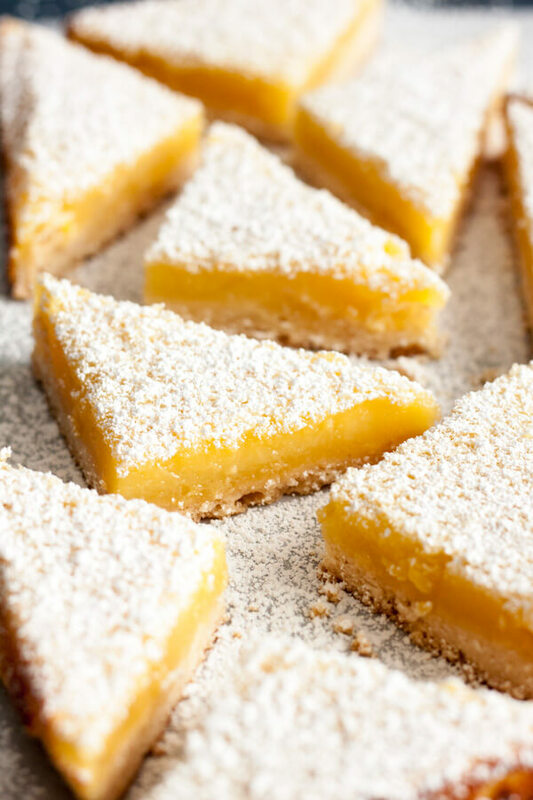 This recipe is adapted from Ina Garten’s Lemon Bars and made into a smaller batch. These bars look just sunshiny perfect. The texture of that lemon custard is amazing.